More often than not a pendant light will be hung over a table or kitchen island and is used to light the surface below, however sometimes you may also want to add to the overall light in a room. There’s something very special about the warm diffused light that's created by opaque pendants; so here's our review of lights which offer the best of both. 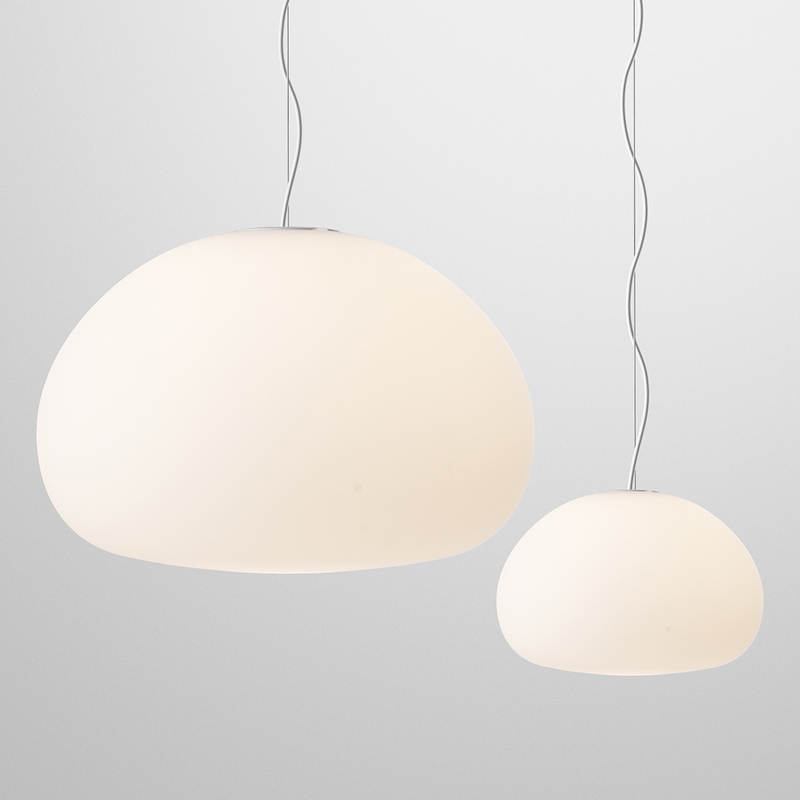 Created by the iconic design team CKR (Claesson Koivisto Rune) the Fluid pendant is made from frosted mouth blown glass and unlike the other pendants in this review has no opening in the bottom. The cleaver shape which was inspired by how surface tension shapes a resting droplet means that a greater intensity of light is emitted from the bottom. The light bulb is accessed through the top which is also part of the hanging assembly. The Caravaggio Pendant is very popular in all its finishes but there’s something very special about the opal version which is made from triple layer opal mouth blown glass. Caravaggio has a wide open bottom meaning lots of light is emitted from bottom but the depth of the shade means that the light source is hidden from view to avoid glare if sitting beneath it. 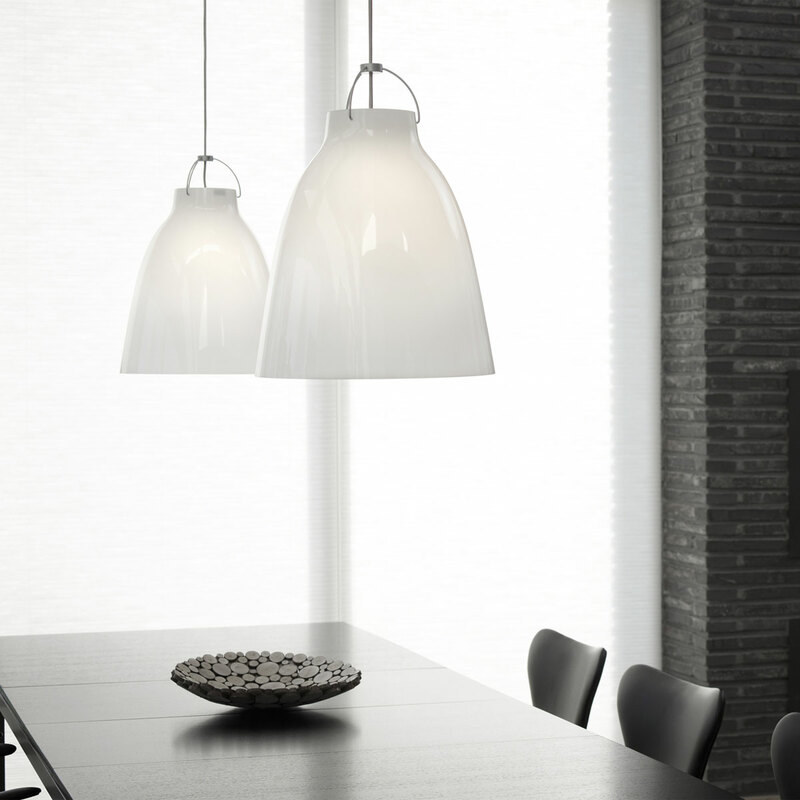 The Galilei pendant light made from matt frosted glass, its sleek appearance makes it ideal for contemporary domestic and commercial interiors. The use of the compact G9 light source means it creates a lot of highly controllable light. 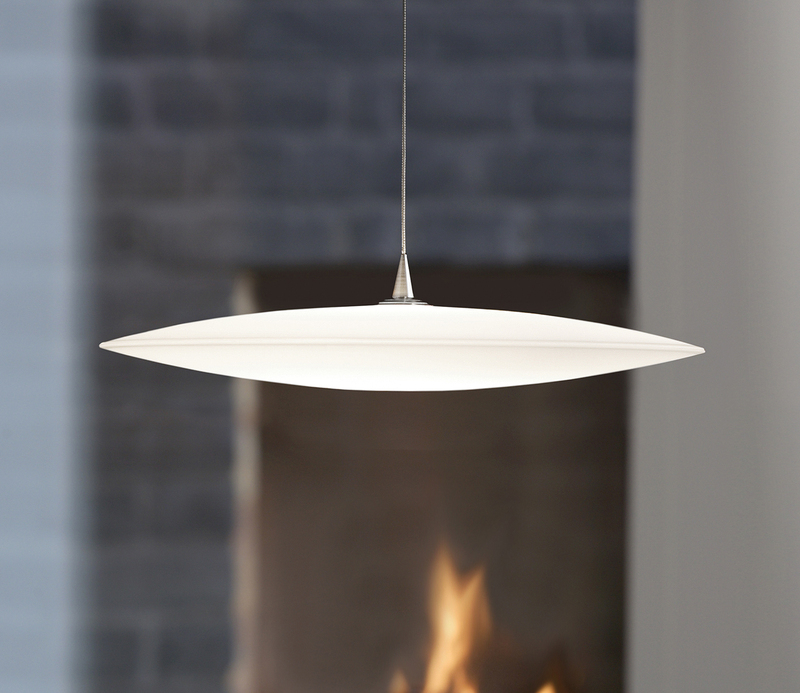 It’s the most expensive of the pendants featured but as with all Darø products Galilei is characterised by quality materials and attention to detail. 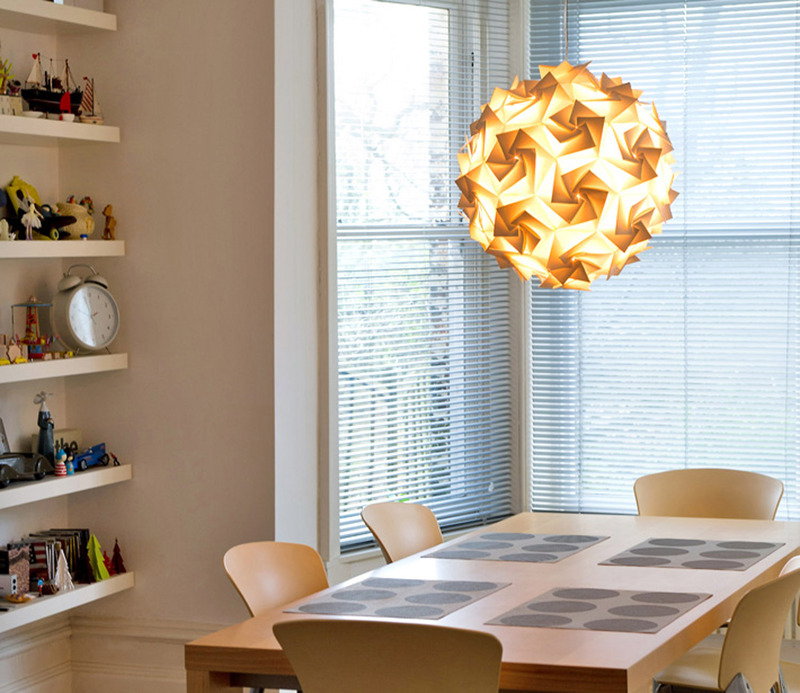 Designed by Claire Norcross the forma head of lighting at Habitat the Aperture light shade has become a firm favourite with the British public. Being made from paper it is extremely light weight but surprisingly robust. It can be easily retro fitted to and existing fitting and is available in three sizes this decorative shade works well for above tables or in clusters. It has also been particularly popular for hallways. Ok so we have cheated a little it doesnt really offer down light aswell unless you pop open one of the folds.